Please don’t chase me with pitchforks and torches but… I’m not a big fan of pies. Too much fruit, too little dough, and the dough you get is so dry! I’m a cake girl. Or better: a Kuchen girl! Kuchen is the German word for any cake, from bundt cake to sponge cake, as long as it is not stacked with layers of cream in between and on top and all around – that would be “Torte”! 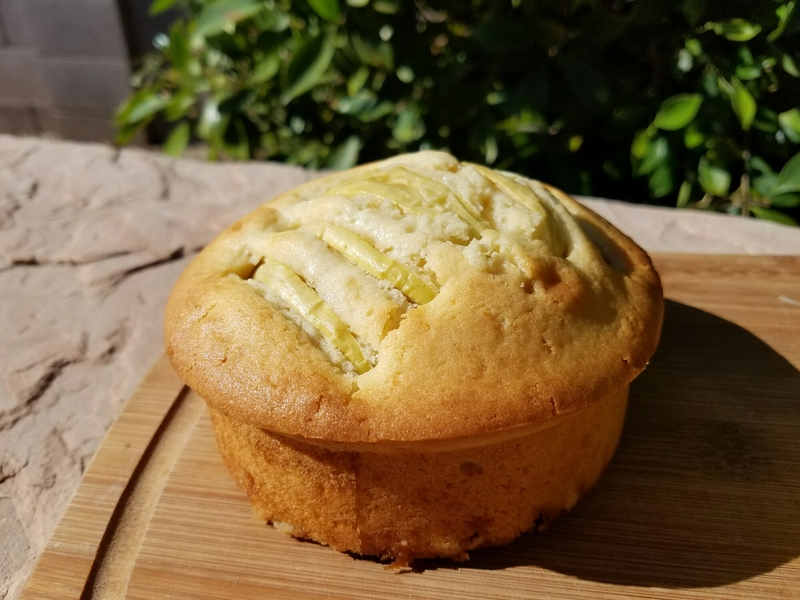 Anyway, I prefer apple cake over apple pie any time and to show my husband how good of a baker his newlywed wife is, I made us two small apple cakes with a little twist, but still traditional! 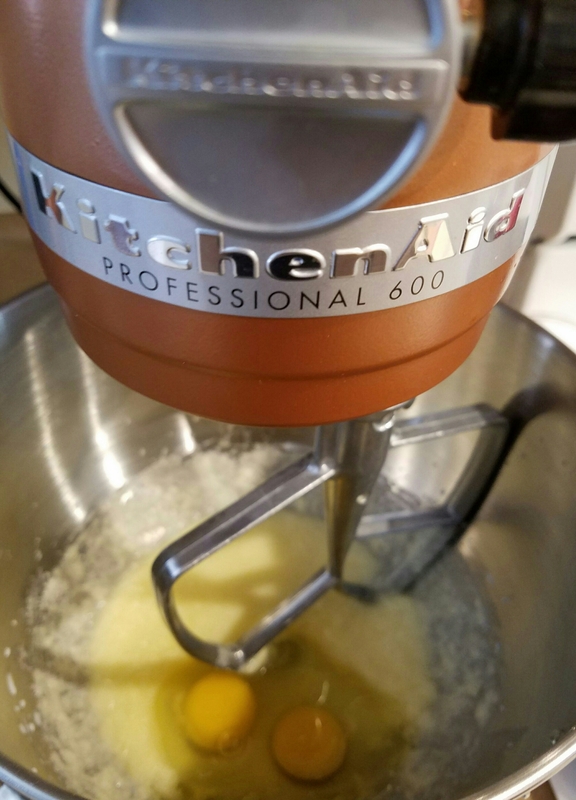 In a large bowl, whisk butter and sugar until the butter is creamy. Add milk, then eggs one by one and whisk until fully mixed. Sift in flour and baking powder and whisk until fully incorporated. Grease cake pan with some butter and sprinkle the brown sugar into the pan. It will melt and caramelize and give the cake a sweet little extra. Core apples, then cut into thin slices. 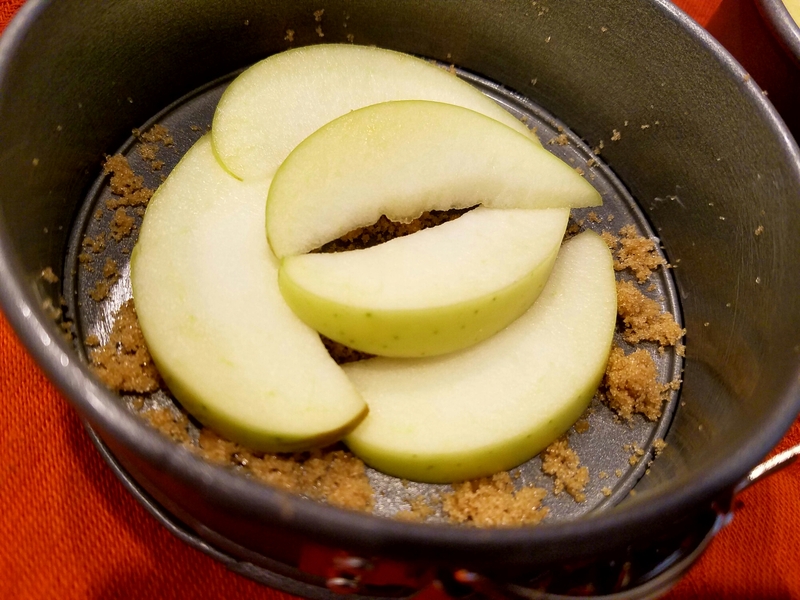 Cover the bottom of the pan with some apple slices, pour in the dough and press the remaining apple slices into the dough with the peel facing up. Bake at 350°F / 180°C for 40 minutes or until a wood pick inserted into the middle comes out clean. 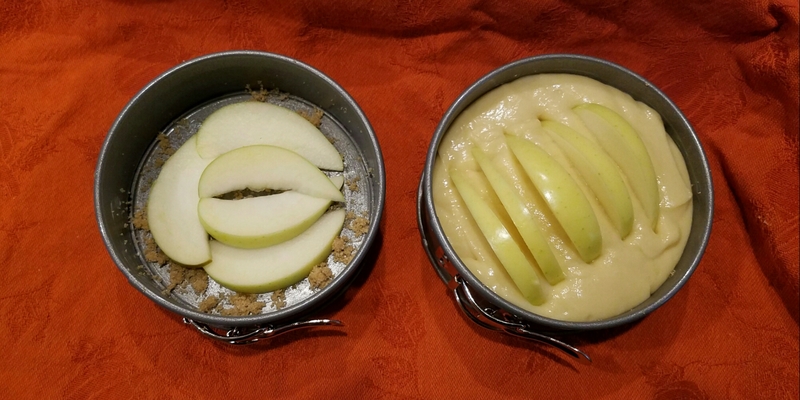 Please note: the dough right next to the apple slices will stay very moist due to the apples releasing their delicious juice during baking. 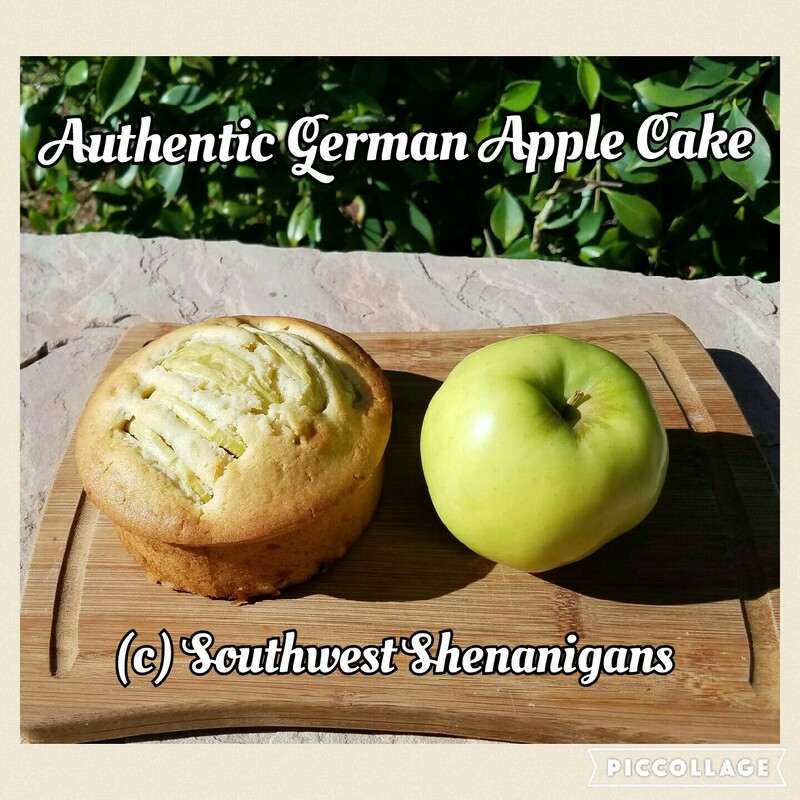 German apple cake is often dusted with some powdered sugar, and typically served in the afternoon with a strong cup of coffee. Song of the day: Neil Young – Dance Dance Dance because it is one of the happiest songs I know and it makes me smile even more than a big piece of cake. 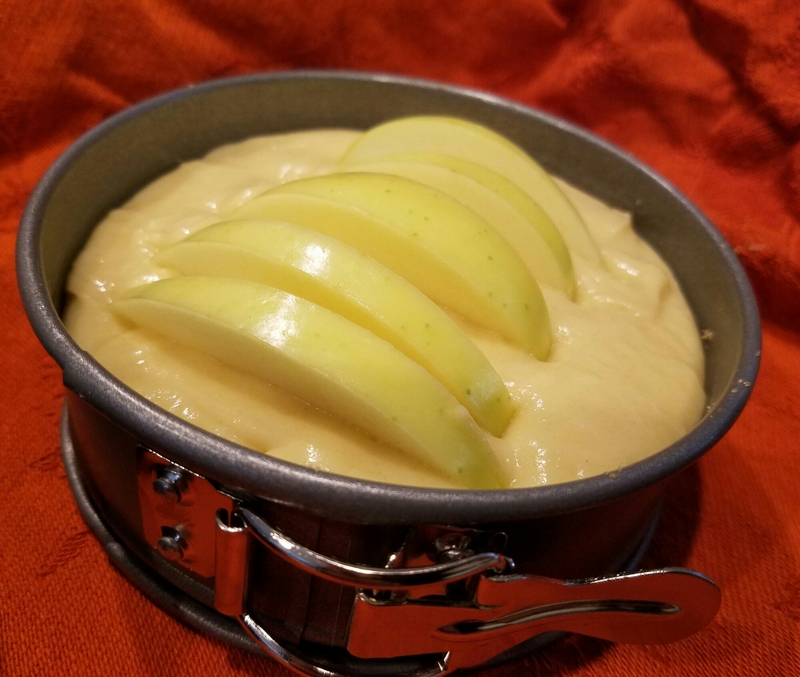 This entry was posted in Baking Buzz. Bookmark the permalink.